I Have MTHFR A1298C Mutation - What Does That Really Mean? I’ve been taking Elevit Prenatal since at least 2 years (trying to conceive). I did a checkup recently and found that my b12 was 128pg/mL (normal says between 197-771). I started immediately b12 supplement (with methylcobalamin). And noticed my brain activity were impaired. I started investigating and ended up here. I have MTHFR A1298C homozygous (+/+) . But MTHFR C677T is (-/-), so no mutation here. I am vegetarian and I eat a lot of avocado, and those folate rich greens already. Can I start taking the appropriate prenatal vitamins now? Or should I take small steps (while already trying to conceive)? My son who is 4 years old has tested positive for A1298C Heterozygous. He has several other complications which in turn produces food adversions (ie is a super picky eater). He only eats a hand full of things and none of them are close to what has been listed as natural foods that are beneficial for the mutation. He is also allergic to dairy/casein/gluten/wheat, so we have been on a DF/CF/GF diet for a couple of months now. Although we are working through to get him on track through an OT, it’s going to take time (perhaps a couple years) before he will be able to choose to eat greens and beans. My question is, can we supplement in the mean time with vitamins or other supplements? If so, do you have suggestions on which ones? He does drink orange juice, so it is easier to hide some supplements in there if needed. Also since he is heterozygous, I would imagine that it would beneficial if myself or my wife to be tested… would you concur? Yeah – it’s so hard with kiddos because really if they don’t want to eat something how do you even start to get it into them? In terms of a vitamin or supplement, I really like the smarty pants gummy vitamins – I believe it’s only the kids complete + fiber that has methyl folate (no clue why, but at least there is one). They taste good and are usually pretty easy to get into kiddos. If he’s only 4 he probably doesn’t need the full dosage on the bottle. Also -if he’s heterozygous then we know for sure that one of you has at least one bad copy, but we don’t know which one or if there are any other bad copies that your son didn’t inherit. So, testing could be useful or just preemptively switching the family to good methylated multi vitamins. Good luck! Excuse my English, isn’t my first language. I discover I have homozygous A1298 mutation and my blood level of folate is about 5 ng/mL. I always have mood problems, since my childhood have a lot of anxiety and now is getting worse. I added more folic acid rich food in my diet and also avoid sugar and processed food, but don’t improve. 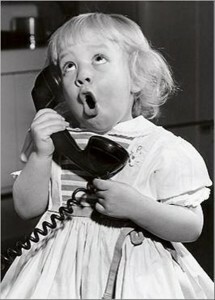 Do you thing is a good idea take methyl folate a methy B12? I thing my blood level of folate is low. I think trying a multi-vitamin or B complex with methylfolate would be a great first step. Here’s a post with some basic suggestions to get you started. I hope this helps! I have recently gone through a whole bunch of testing after finding out I have blood clots on my left retina. So far, the only thing they have found of relevance is one copy of this gene mutation. The hematologist seemed skeptical that one copy of this gene was enough to cause my problem, but said that if they didn’t find anything else, then this might be the cause, and so far, they haven’t found anything else. The doctor didn’t tell me much about it and only said that I should keep taking my aspirin. I am wondering, with one copy, how much do I need to worry about supplements? My doctor also tested my folic acid levels, and said they were normal. Does this mean I don’t need supplements? Also, you recommend not eating foods that are fortified with folic acid. I understand that this mutation makes it hard for the body to use that folic acid, but why is eating these foods bad? How much of an issue is that for people like me with only one copy? On another note, I was looking over the list of conditions associated with this mutation, and saw that autism is on the list. I happen to have two autistic nephews, and now I wonder if they might have this gene. If they did, would diet change of supplements really make a difference for their autism? Great questions! It’s really hard to say how much you need to worry with one copy. I’ve seen clients with seemingly minor mutations have some major clinical issues, but that is probably because we’re looking at one gene out of the 20,000 protein coding genes that are estimated. We don’t test for the rest of them, so chances are in a situation with one known minor mutation there are other unknown mutations that also affect the same issue (in your case, clotting). I would say you should supplement just to cover your bases. It’s not terribly expensive and as far as we know it’s a no-harm situation. Blood folic acid levels being normal doesn’t actually mean that you can use that folic acid effectively – that test shows only the synthetic form of folic acid and only what is in your blood – not what is actually being used by your cells. The test assumes that you can use it effectively, but for MTHFR mutants that isn’t always the case. Eating foods or taking supplements that have folic acid in them (this is the synthetic form) essentially clogs up all the receptors for folate so that any of the active form you’re getting doesn’t have as much opportunity to bond or be utilized. If you can’t avoid completely, then at least minimize and supplement with an active form. Again, no telling how much of an issue it is with only one copy, that depth of research isn’t really being done yet. Autism can certainly be linked and for your nephews it is certainly something to discuss with their practitioner. Because there can be symptoms when you’re starting supplementation (and everything is amplified in autism) you’ll want to have them working with someone. This is a lot of information – let me know if it doesn’t make sense! I appreciate your reply. I am still trying to figure this all out. I guess my next question is where do I get a supplement that is natural? Is is possible to get a multi vitamin with the natural form. I hate to give up my multi, but I’m sure the folic acid in it is probably synthetic. My next question is how do you figure out getting the natural form and not the synthetic form in your food. For example, I read that several kinds of nuts are good natural sources, but when I look at the can of mixed nuts in my house, it doesn’t say anything about folate or folic acid. Then there’s the other side of things. I have been trying to buy organic wheat products since I read about wheat farmers being allowed to spray their crops with round-up before harvest. The packaging doesn’t say enriched, but on one that I looked at, it did say there was folic acid in it. Does that mean it still has the synthetic kind? Is there ever natural folate in a wheat product? Are the ones that don’t mention folic acid okay? I don’t think I would be able to give up all the foods that are enriched, even if I could figure out which ones they are, but I am trying to reduce the synthetic, and increase the natural. It is really hard when labeling is so poor. I guess my last question is this, (and I know you might not have an answer. I just want to put it out there.) if they are figuring out that this synthetic stuff is bad for a lot of people who wouldn’t have a problem otherwise, why don’t they just stop messing with the food and start teaching people (especially pregnant women) how to get more of the natural kind? Great questions! With vitamins and multis it’s really hard to find one with natural folate in it because it generally occurs in small amounts in foods. If it says folic acid on the label then it’s the bad kind. If it’s a good kind they’ll say 5-LMTHF or quatrifolate or methylfolate. In terms of foods – as far as I know grains area always enriched (so the bad folic acid) – they aren’t a good natural source of folate. 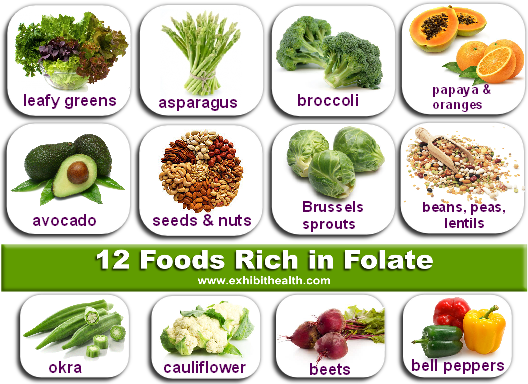 The best foods for natural folate are things like dark green leafy veggies, beans, lentils, nuts and that sort of thing. Here’s a post on good vs. bad foods for MTHFR folks. As for educating pregnant women – hopefully that will be the next step, although even with MTHFR mutations adding folic acid to basic foods has helped to prevent hundreds of thousands of birth defects, so it is still a good thing even if it’s not a great thing for MTHFR mutants. I think it helps mostly the population who doesn’t have great financial resources to spend on nutrition anyway, and education won’t help if those women can’t afford fresh spinach etc… Such a complex problem. Happy holidays! I have mthfr c128c double mutant I have was always been health conscious take supplements eat right exercise but I think I might be overdoing my methyl b12 I have a symptom of ringing in the ears. Detoxing is a big issue with mthfr right ? What b12 works best. Yes – B12 can be a huge issue for MTHFR folk. And detoxing is at the heart of everything. I’d suggest you read this post about B12 and see if it points you in the right direction. Thanks for reading! Thank you for this, explains quite a bit SPECIFICALLY on the a1298c homozygous mutation I have been tested on. Im 23, and suffered Anxiety and Depression my entire life, found this, tested positive for a1298c, started with methyl b12 and included natural folate rich foods in my diets. 3 days ago added a methylfolate supplement, and started with 200mcg. And predictably enough like what I had read on all the articles, my anxiety has increased (which is supposed to be the initial stage until body gets adjusted.) However, there’s no doctor in my area who deals with MTHFR, and I would like to do this under guidance, would you happen to know anyone who I can correspond with online? I live in India. I get very sleepy/tired every time I try to up my dose of methyl folate. Also I use 15 minutes in a dry sauna and now come home with a headache and again very sleepy/tired. What’s going on? Methylfolate is very involved in detoxification (just like dry sauna). Honestly my gut feeling is that probably when you increase your methylfolate dose you’re pushing your body to detoxify a little bit more quickly than it can cope with and so you get tired. Likewise with the dry sauna. Headache and low energy can both be symptoms that your body is just a little bit too toxic at that moment (like a hangover). Make sure you’re doing the simple things to help your body get rid of toxins every day like high dose fiber, lots of water and good sleep. If you’re already doing those things then check out some extra ways to take care of your liver here. Hi! I just got my 1year olds blood results back and she has two copies of the same mutation (A1298C). Is there something I need to be extra careful of since she is still a baby? What does she need to stay away from? Since she has 2 copies of the same mutation does that mean that she got if from both my husband and I ? Great questions! For little kiddos there aren’t many supplements and doing it through food is probably the best way anyway. I would try to minimize food fortified with folic acid (lots of cereals, bread, pasta that sort of thing) and increase foods that are naturally high in folate. My daughter is just about to be two and we haven’t had her tested yet but I’m assuming she has some mutation since both my husband and I do, so this is the approach we’re using. And yes – you’re right. If she has two mutant copies of the same gene then she got one from you and one from your husband. Hi, I just found out I have a homozygous A1298C mutation. I also have elevated blood levels of B12 and folate. Could these issues be correlated and might taking methylfolate (in addition to avoiding folic acid) lower my levels? Thanks! I have seen MTHFR mutations often go hand-in-hand with elevated blood levels of B12 and folate (although often symptoms of LOW B12 and folate). Typically supplementation with a good methylfolate and either methyl or hydroxy B12 (see this post) will change the symptoms, but it’s really variable whether or not the blood values will change. It seems like in some people they do normalize and in some they don’t and I haven’t been able to figure out why or who will be in each group. I hope this helps! Thank you so much for your reply! I would definitely say I have the low symptoms. I haven’t been able to find much information on the high levels/MTHFR connection, so I appreciate your incite. I have seen some information suggesting high blood levels being related to intestinal pathogenic overgrowth. This is interesting as I took a food based multi for years (saccharomyces cerevisiae/cultured). I recently had a food IgG test and my highest reactivity, besides most dairy, was brewers/bakers yeast and malt. So, besides previously taking the wrong forms of b vitamins, perhaps I also have an overgrowth of some sort. Trying to figure this all out, as I am thinking about having another baby and worried about the potential associated autism risk with high levels of b12/folate. Grateful for the information I’ve learned from your site, thanks for sharing your knowledge! I was tested for for both MTHFR gene mutations and as it turned out i have a homozygous A1298C mutation. My question after having read the articles on your site on this topic is: should i supplement with the above mentioned methylated b vitamin complex and a plus dosage of methylfolate? I’m asking this as i maintain a really healthy vegetarian diet. I include nuts, legumes and dark leafy greens in my diet. Basically i consume the above mentioned vegetables on a daily bases. With a homozygous mutation it is certain that you need some sources of methylfolate. For some people food sources are enough, so the question is – are you having trouble? 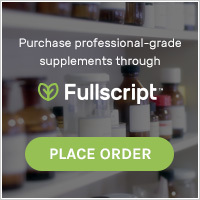 If you’re having symptoms or problems that could be related to MTHFR then I would say adding a supplement on top of your good diet is a good idea. I’m guessing the testing was done for a reason, so chances are you’re not getting enough. Remember to start supplementation slowly – there can be unpleasant reactions if you start with too high a dose. Here’s a post about it to get you started and I hope this is helpful!